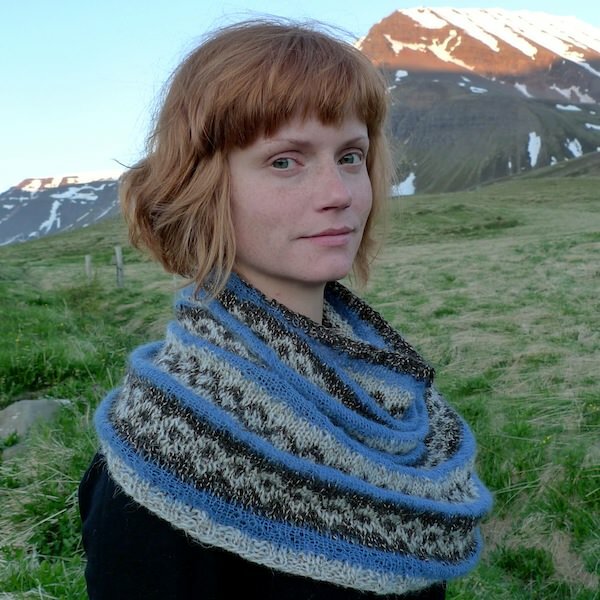 EINRÚM E er Einband frá Ístex (70 % íslensk ný ull, 30% ull) og 2 þræði (E+2) eða 4 þræði (E+4) af Thai silki tvinnað saman. 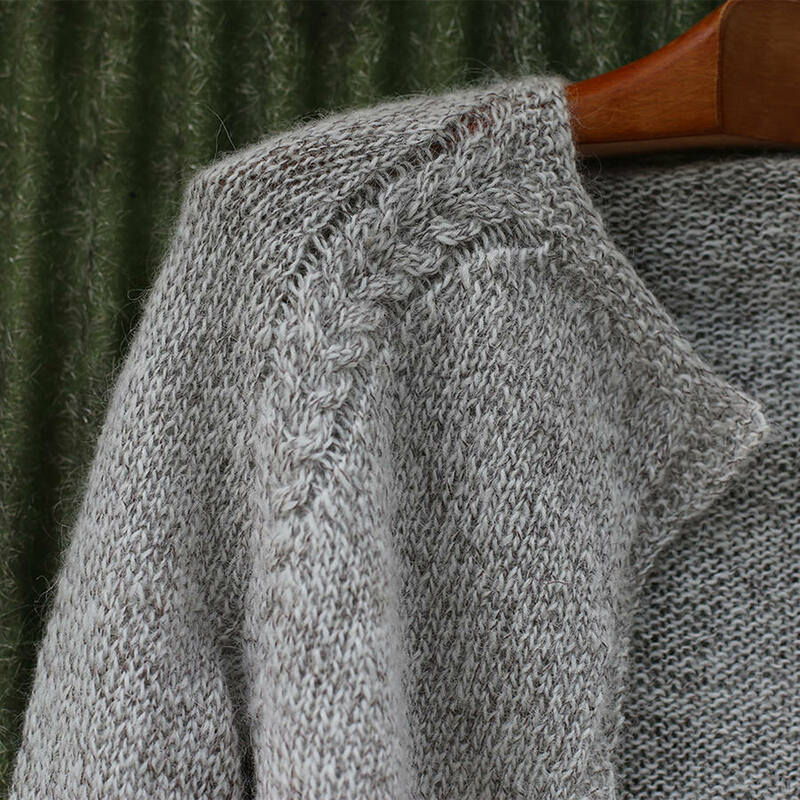 When twinned, the Einband opens up and the result feels pretty much like the unspun plötulopi but very strong. 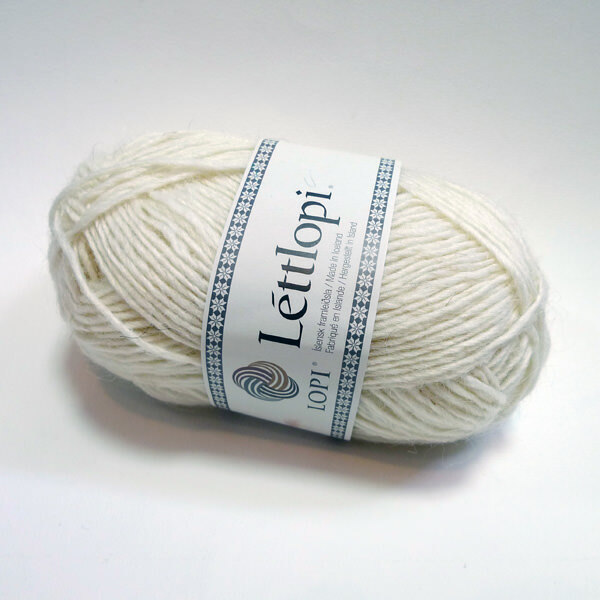 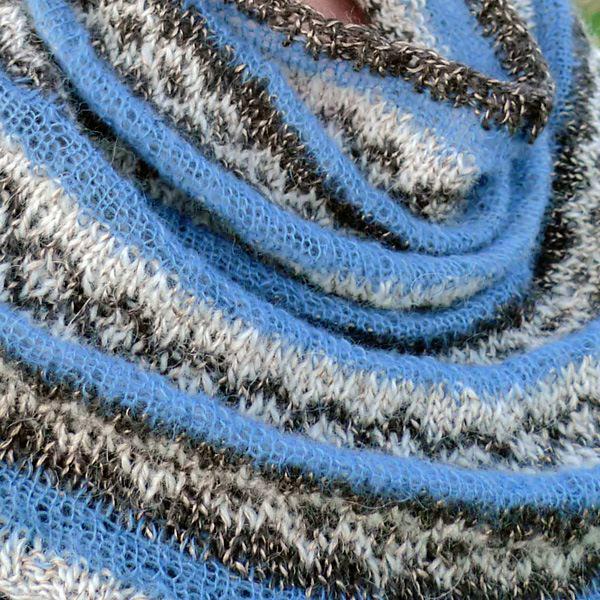 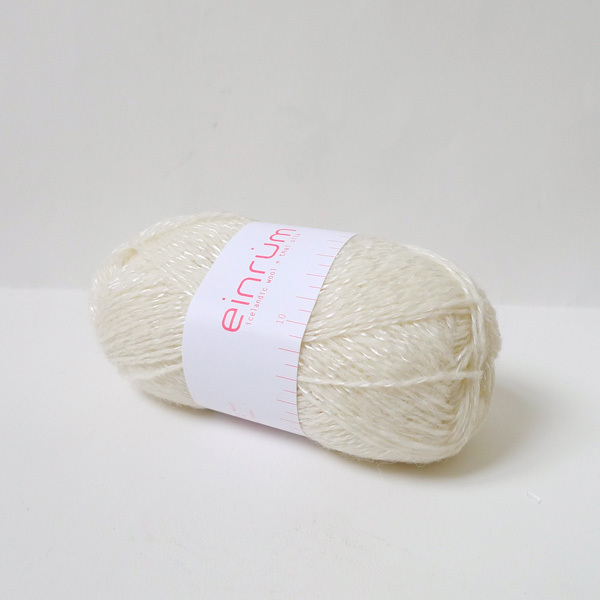 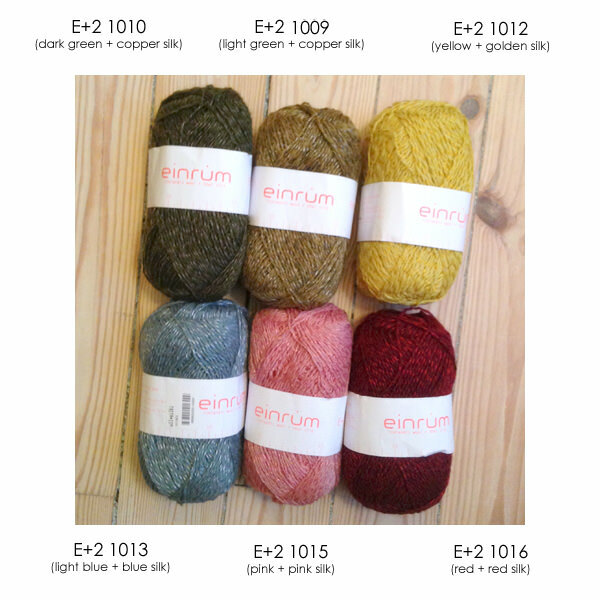 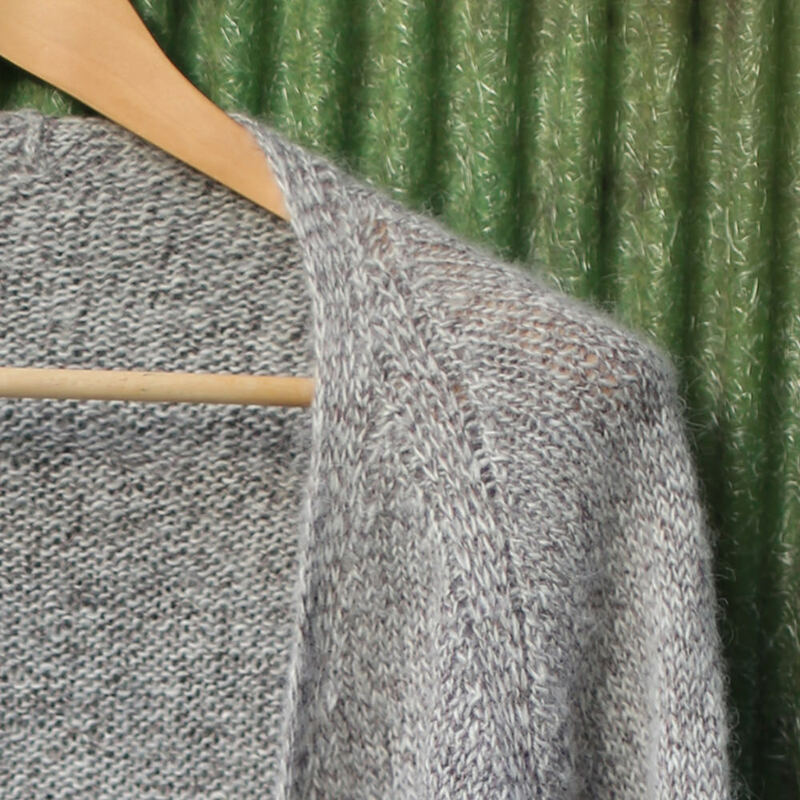 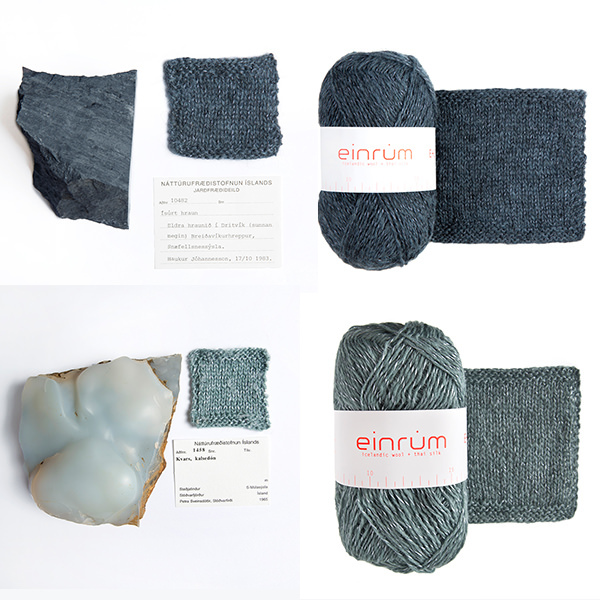 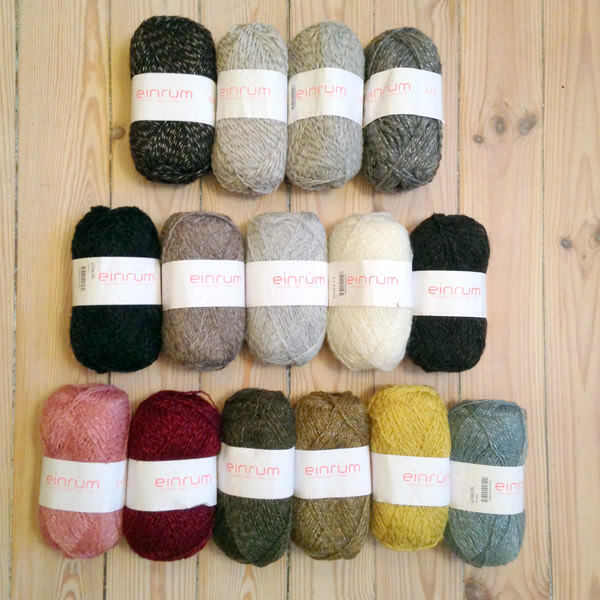 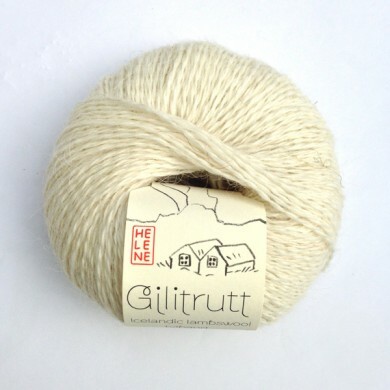 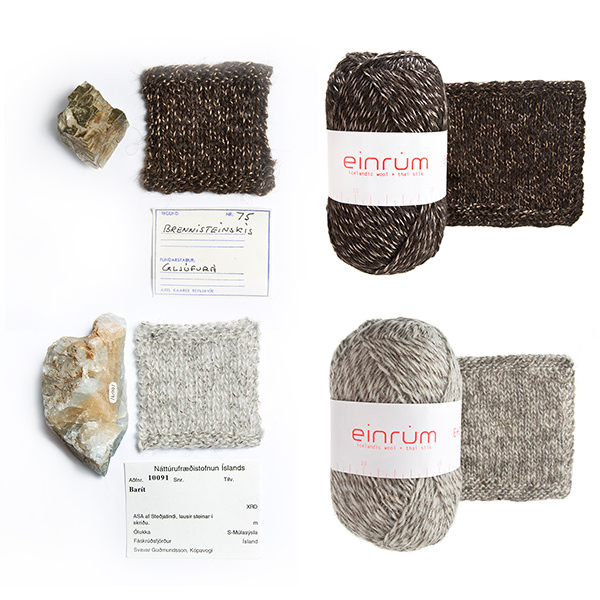 Used with bigger needles, Einrúm E will make for an extremely light, airy garment, yet hardwearing. 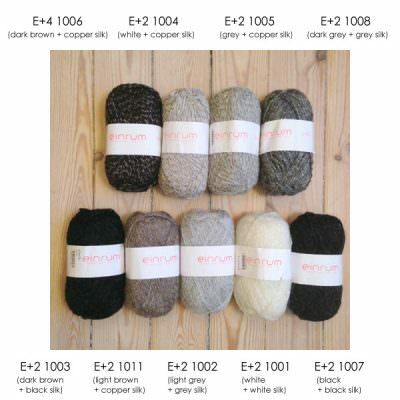 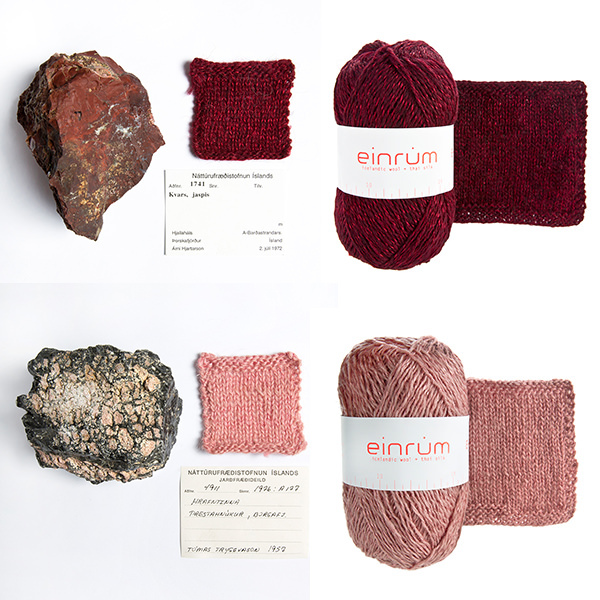 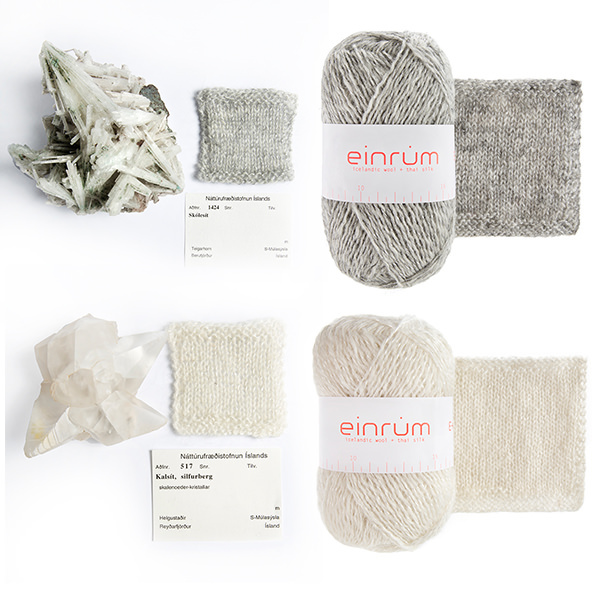 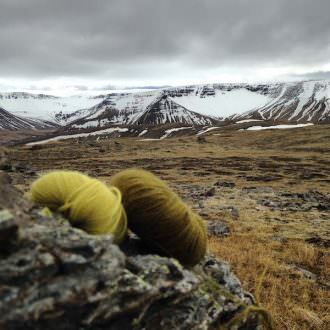 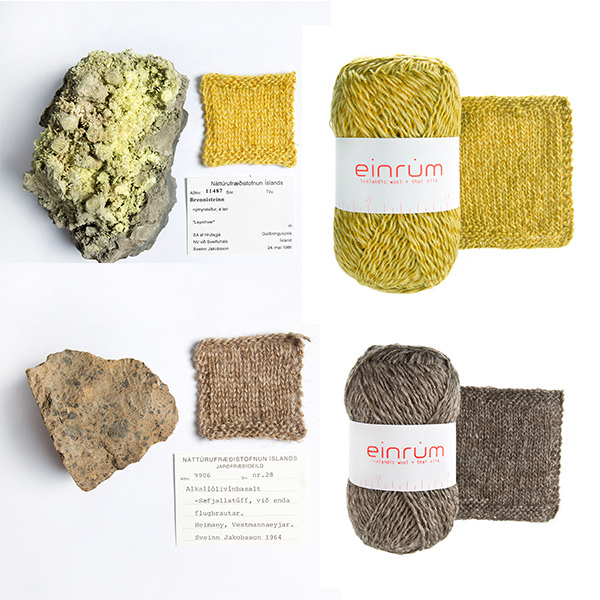 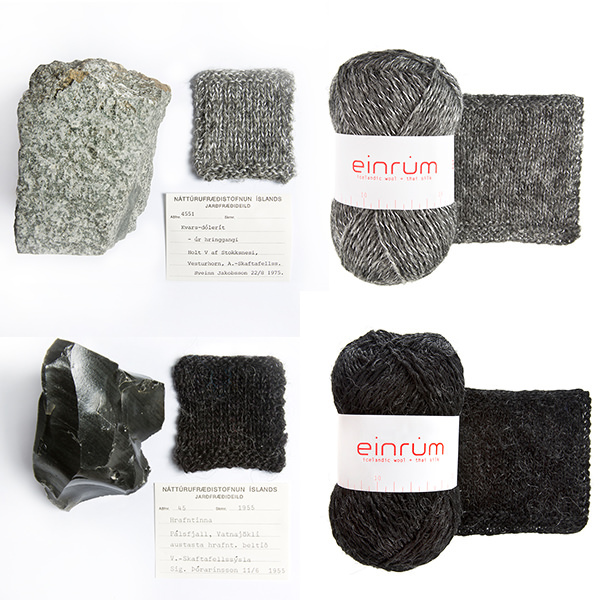 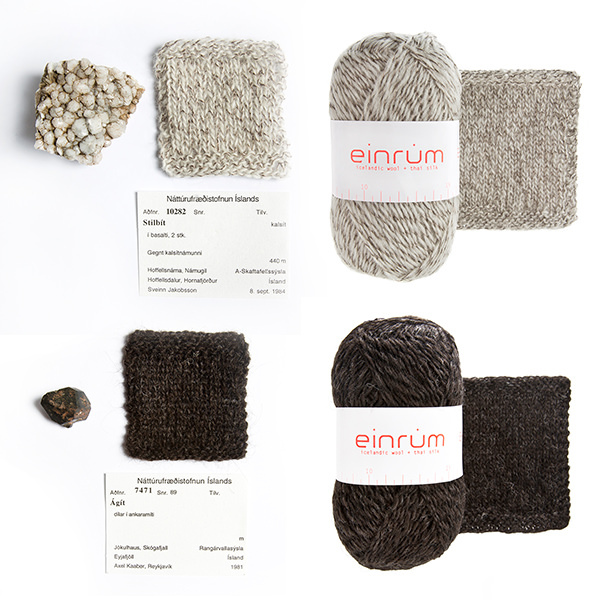 The EINRÚM colors are obtained by mixing natural lopi wool colors (natural white, light grey and natural black – which is more like a very deep and dark brown) together with 2 or 4 threads of white, brown, grey, copper or black Thai silk. 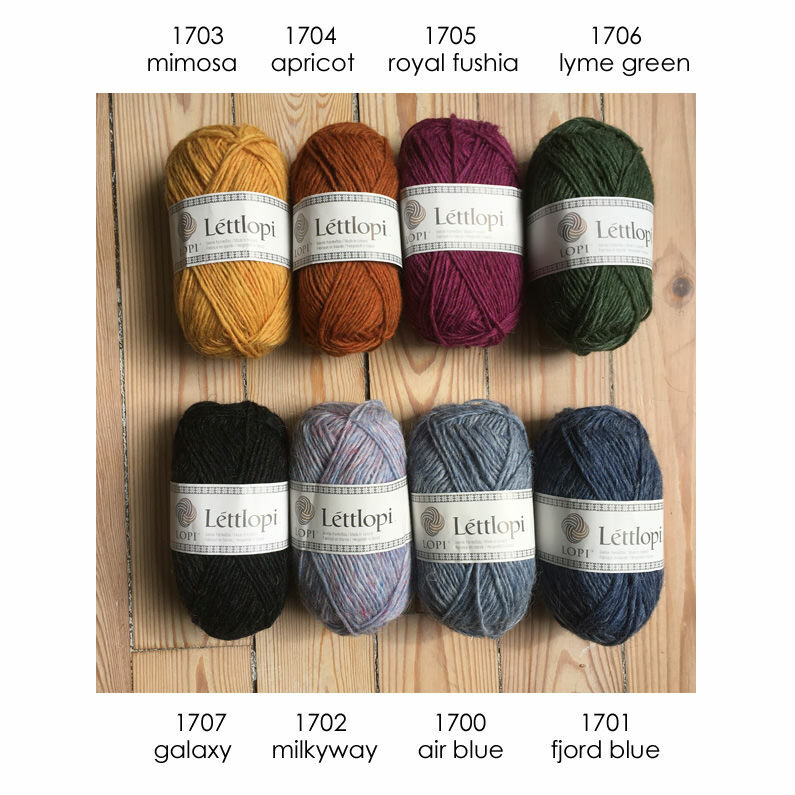 The difference between some of the shades is quite subtle. 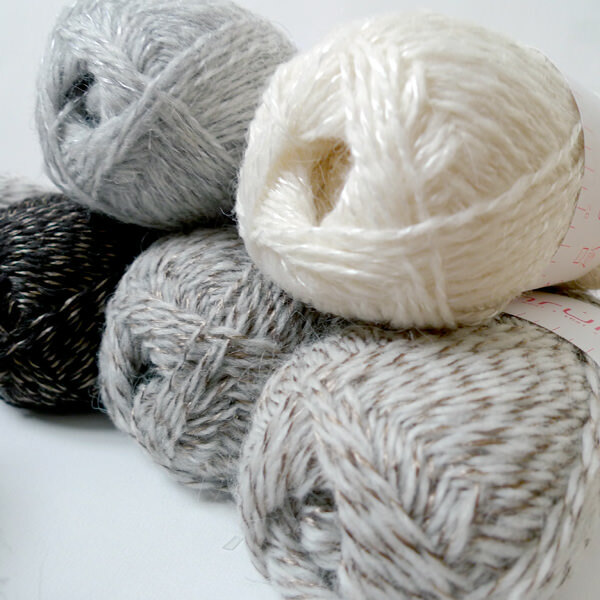 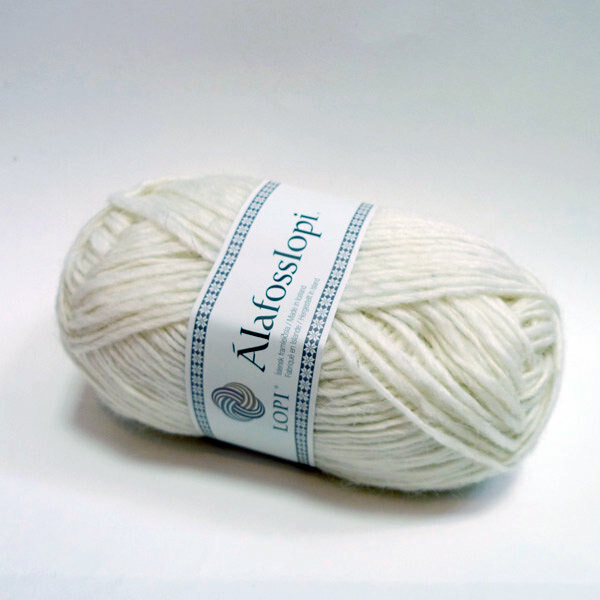 The more vivid colors are obtained by dyeing the mixed thread: the tweed effect is due to the fact that the wool and the silk don’t take the dye in the same manner. 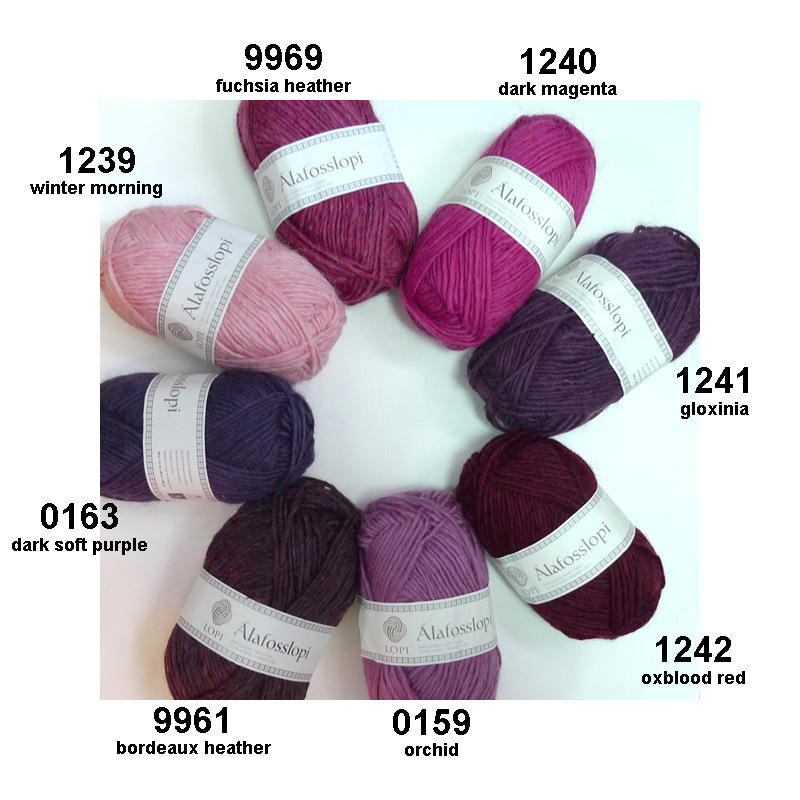 For shipping costs and delivery, see Terms & conditions.